Feb 6, 2019 @ 09:49 AM — by Sharon B. Mateja, D.D.S. For as long as human civilization has existed, men and women have attempted to replace missing teeth. Some of the earliest attempts involved the use of human and animal bones and are now on display in museums. 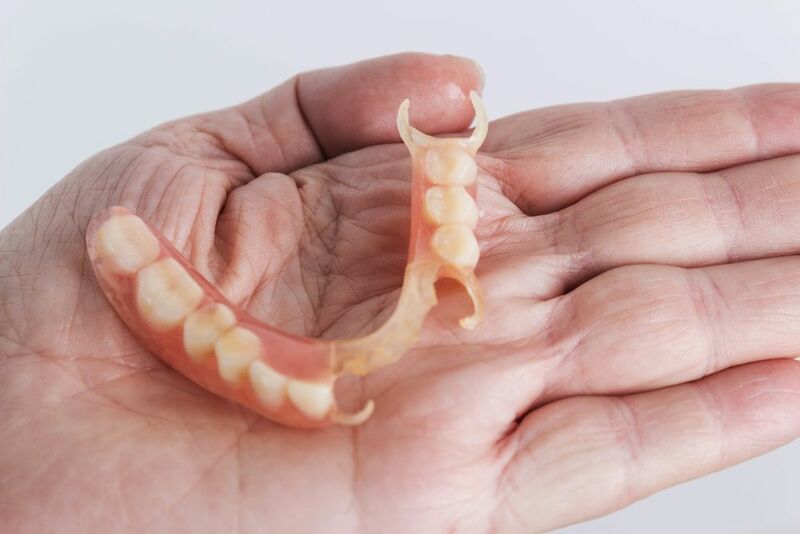 Today, dentures and dental bridges are manufactured to custom fit your jaw and mouth. If you are missing one or more teeth, you are not alone. More than 120 million people in the United States are missing one or more teeth, according to the American College of Prosthodontists. Fortunately for our patients, dental bridge and denture technology have come a long way since the earliest attempts at oral prosthetics nearly three millennia ago. Here, you can learn about the history of dental bridges and dentures. Contact our Rancho Cucamonga, CA practice to schedule your appointment with us. The Etruscans and Romans are believed to have used dentures made of human and animal teeth as early as 7 BC. A team of paleopathologists from the University of Pisa discovered a set of centuries-old dentures in Lucca, Italy. The team estimated that the metal and teeth attachments dated back to the 14th to 17th century. In Japan, wooden dentures were used in the 1500s. Contrary to folklore, President George Washington did not have wood dentures. His prosthetics were handmade from ivory, gold, and human teeth. The first porcelain dentures were developed in 1770 by Alexis Duchâteau. However, the porcelain material was not very strong at this time, leading to chips and wear. Later advances in dental bridge and denture technology followed this timeline. 1903: Charles Land develops the first porcelain jacket crown. 1937: Alvin Strock inserts the first dental screw implant. The technique eventually leads to implant-supported dentures. 1937: Acrylic resins are introduced as a base material for dentures. 1951: Epoxy resin and polystyrene are introduced as a base material for dentures. 1967: Polycarbonates become a base material option for molding dentures. Dr. Mateja offers three types of dentures: traditional dentures, which are removable; implant-supported dentures, which attach to implants and are removable; and implant-retained dentures, which are not removable and are fastened to implants. Advanced 3-D modeling now allows for a more customized fit for both dental bridges and dentures. Unlike procedures performed decades ago, most restorative surgeries are largely pain-free, though some discomfort during recovery may be experienced. The most significant development in dental bridge and denture technology is the development of implant-supported and implant-retained options. Advances in modern dentistry have made restoring balance and function to your smile easier than ever. Whether you are interested in learning about the benefits of dental bridges, dentures, or any of our cosmetic and restorative dental procedures, Dr. Mateja will be glad to listen to your questions and advise you on the best treatment options to meet your goals. Contact us online or call (909) 989-5959 to set up an appointment.